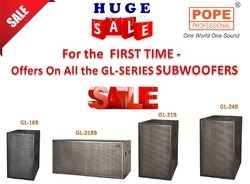 Our product range includes a wide range of pope gl218b subwoofer speaker system, pope gl24b high-powered subwoofer, dual passive subwoofer system, pope ld18b v2 and v3 subwoofer, pope l-218b dual 1200w subwoofer speaker and pope gl-8a subwoofer speaker system. The POPE Professional® GL-24B is the loudest, deepest and most powerful folded horn Sub-woofer. 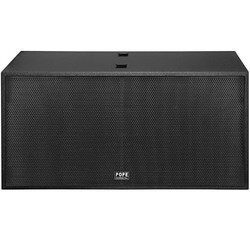 It's superlative design and excellent features make it ideal for use in the most challenging scenarios where the strong bass is needed, such as Live Sound, Installations, Large Venues, Mobile DJ's and Club applications. Featuring a massive 24" Neodymium transducer is delivering 138 dB of Maximum SPL, the GL-24B raises the low-frequency performance bar to next level. The GL-24B Folded Horn delivers more bass per square inch than other Sub-woofer designs and includes a curved horn mouth bracing for smoother frequency response and extra deep 35mm pole cups for increased stability with full-range speakers. 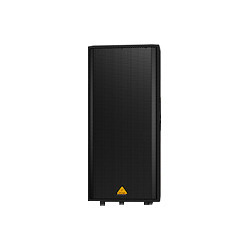 The GL-24B is a fantastic and sturdy Sub-woofer, but thanks to its integrated extra handle that you are easily moving and transport. 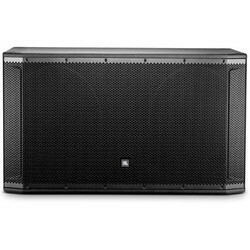 SRX828S is a dual 18” subwoofer for concert, touring, or installed use. 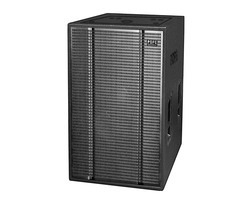 Featuring a wide stance for splaying top boxes, indexing feet for stacking in both the standard and cardioid position, and a 141dB max SPL, the SRX828S is an ideal solution for musicians, bands, and DJs, concert use, public speaking, or installations such as performance venues, corporate spaces, educational facilities or houses of worship. Tunings and presets are available for Crown ITech HD and XTI 2 amps as well as dbx VENU360 signal processors. 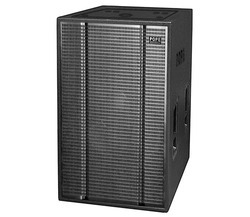 We are one of the leading dealers and distributors of Pope Subwoofer. 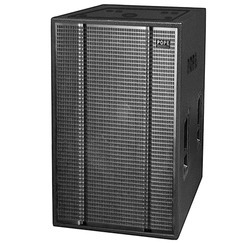 The POPE Professional® GL-21B is a Horn-Loaded and high power, high output sub-woofer designed for touring and permanent sound reinforcement. The bass reflex design features 6" voice coil, long excursion 21" Neodymium transducer mounted in a mechanically and acoustically optimized, rugged weather resistant enclosure. Integrated handles allow for easy setup, loading and transportation. Featuring a massive 21" Neodymium transducer is delivering 136 dB of Maximum SPL, the GL-21B raises the low frequency performance bar to next level. The GL-21B Folded Horn delivers more bass per square inch than other Sub-woofer designs and includes a curved horn mouth bracing for smoother frequency response and extra deep 35mm pole cups for increased stability with full-range speakers. The POPE Professional® GL-18B is a Horn-Loaded and high power, high output sub-woofer designed for touring and permanent sound reinforcement. The bass reflex design features 4" voice coil, long excursion 18" Neodymium transducer mounted in a mechanically and acoustically optimized, rugged weather resistant enclosure. Integrated handles allow for easy setup, loading and transportation. Featuring a massive 18" Neodymium transducer is delivering 126 dB of Maximum SPL, the GL-18B raises the low frequency performance bar to next level. The GL-18B Folded Horn delivers more bass per square inch than other Sub-woofer designs and includes a curved horn mouth bracing for smoother frequency response and extra deep 35mm pole cups for increased stability with full-range speakers. The enclosure is constructed of 12-ply void-free birch plywood and is coated with a weather and wear resistant black textured paint finish. 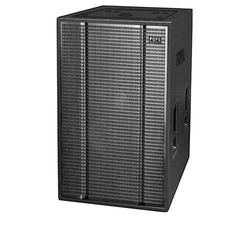 In designing LD Series speaker to attain absolute flat frequency response is the prime concern for POPE Professional® engineers. Over powering high frequency that causes hearing fatigue is reduced since we now focus on making the LD system musical and yet producing very good vocal mid range frequency and extended low base frequencies. The LD Series also offers very high quality cabinet construction and contemporary design and styling together with integrated flying point, new grille design and a very durable external paint finish. LD Series HF component features a 90° x 90° dispersion horn couple together with our latest compression driver design. The diaphragm made of titanium utilizes KSV flat wire coil to eliminate distortion and also provides better heat dissipation and hence lowering the effects of power compression. This design give better compliancy and also bring forth better power handling and reliability. All LD speakers are tested to AES standard to provide both contractors and users with a quality of assurance. Deviating form the norm of speaker design, POPE Professional® engineers looked at the effects of power versus linearity especially on the MF-HF section. Besides individual speaker component design, we have also look at individual electronic components on the internal passive crossover network. With careful selection and design, the LD series yield very impressive results from 1 kHz to 18 kHz, the astonishing result under LMS testing showed the linearity to be less than 1dB deviation. 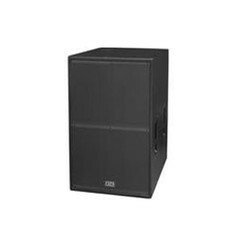 This series speakers and sub-woofer can use in the places of worship, theatre, auditorium, performing arts halls, live programs, multi-function rooms, clubs and DISCOS. POPE GL SERIES ..deepest and most powerful folded horn Sub-woofer. 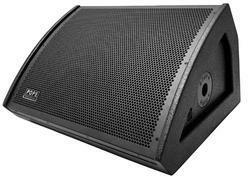 Looking for Subwoofer Speakers Base Speakers ?